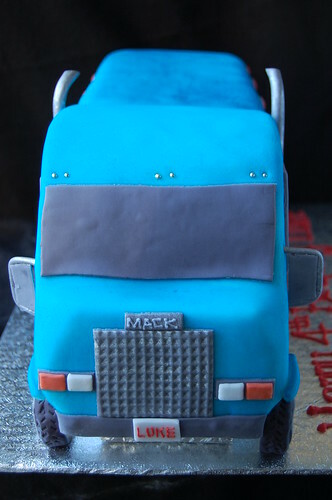 This Mack truck birthday cake was for a truck-obsessed little boy named Luke whose favourite colour is blue. 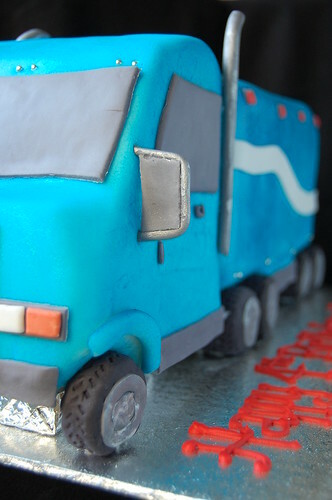 Admittedly I did not know very much about big rigs prior to this cake, and not having any brothers, my exposure to 18-wheelers was only limited to passing them nervously on the highway or bad memories of long-distance moves gone awry. So, now I know that tractor-trailers are indeed made of two parts, the front tractor which is also called the cab and the rear trailer which houses all the cargo. The eighteen wheels include two front steering wheels and eight more pairs of wheels at the front and rear of the trailer. I have now officially exhausted my knowledge of trucks. 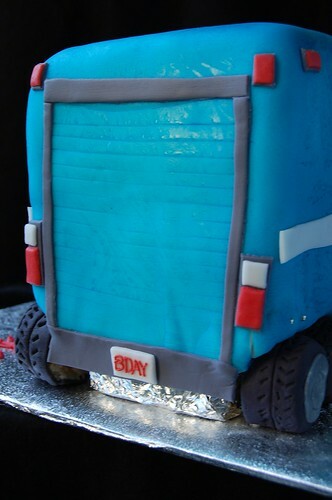 This truck was constructed from one 10" x 15" x 3" slab cake made of chocolate cake and dark chocolate mousseline. This slab was cut first into a 10" x 5" x 3" piece and a 10" x 10" x 3" piece. Both pieces were then bisected into 5" wide pieces and stacked with cake board and dowels in order to form the front cab and rear trailer. Everything was masked, covered in rolled fondant, and airbrushed. 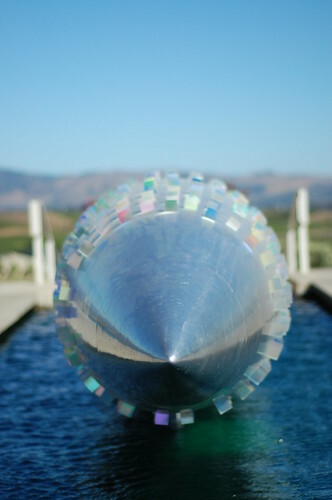 Ultimately, the truck dimensions were 5" wide x 16" long x 6" high. 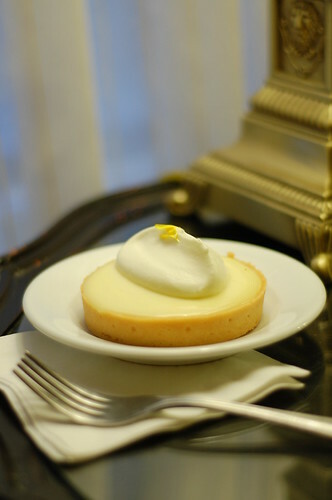 My favourite details are the eighteen Rice Krispie treat tires covered in fondant and the side mirrors, even though I realize that they were positioned much too low to be optically correct. Regardless, Luke reportedly gave me the ultimate compliment, calling the cake "perfect". Happy Birthday Luke!